Add chopped apples, lemon juice & water to a small saucepan Bring to a boil and then reduce to a simmer and cover Simmer for 10 minutes and then remove the top. 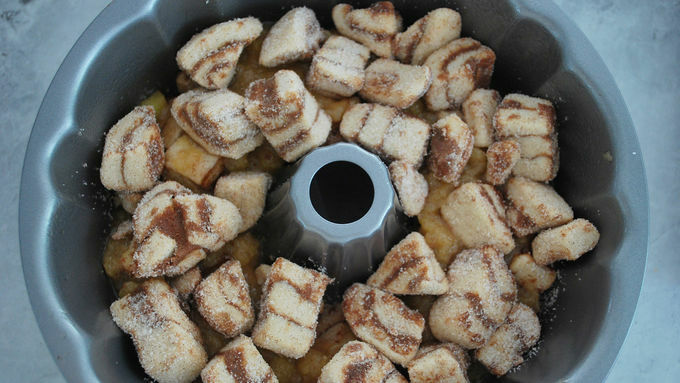 Continue to simmer & mash with a fork or potato masher until water has evaporated and apples are mashed (about 5 more minutes) Add brown sugar, butter and a sprinkle of cinnamon & nutmeg and continue cooking over low heat until butter has completely melted. 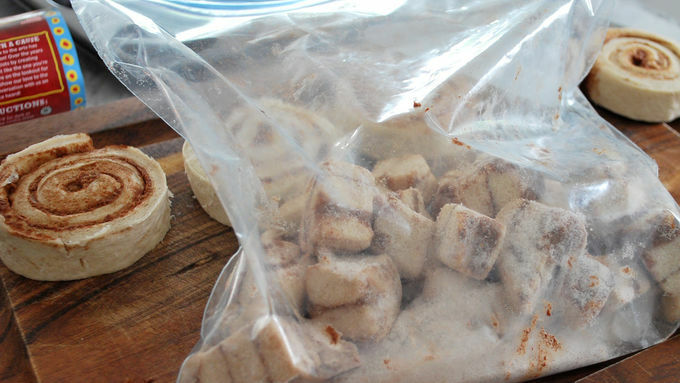 BAKE: Bake for 40-50 minutes until top pieces are nicely browned and center feels set. (You may want to place a cookie sheet on the lower oven rack in case there is any spill-over while baking.) Cool for 5 minutes and then invert on to a serving plate. 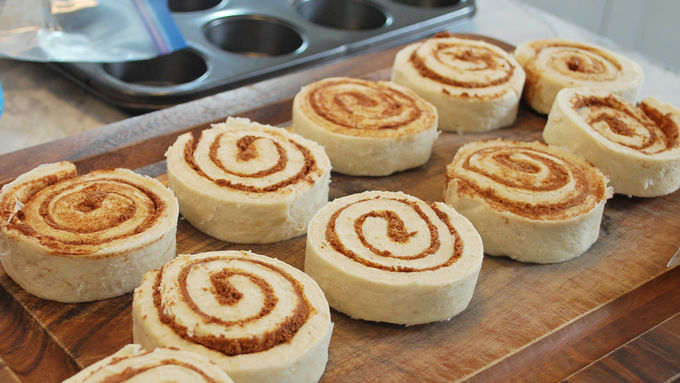 Drizzle with icing & enjoy! 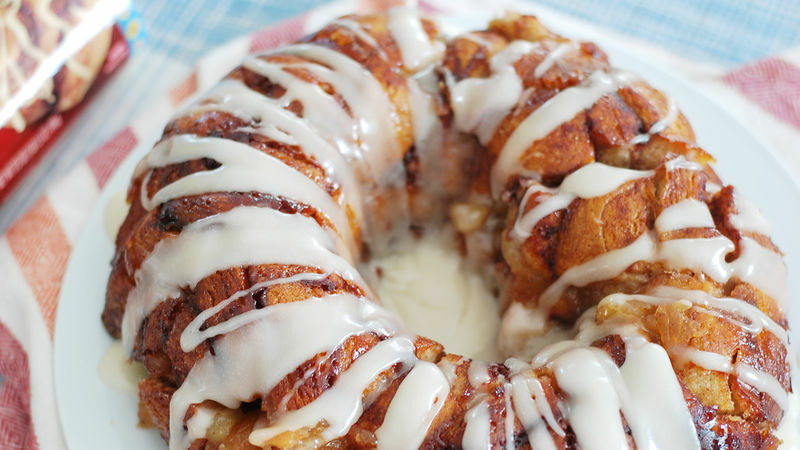 You may want to place a cookie sheet on the lower oven rack while baking the monkey bread in case there is any spill-over as it rises.